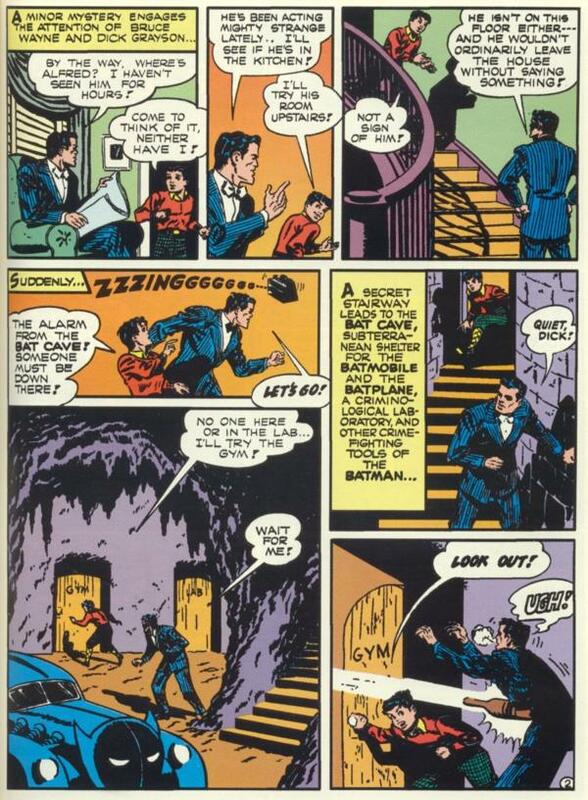 JANUARY: The Batcave – then called “the Bat Cave” – is called by that very name for the first time in DETECTIVE COMICS #83. 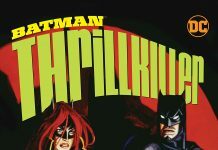 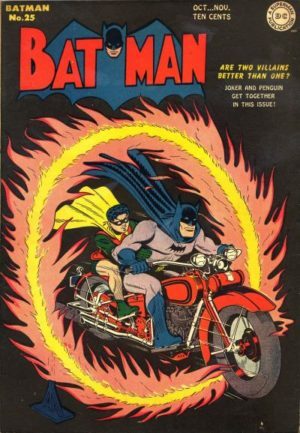 Previously, Batman’s underground lair was called a “hangar.” Then in the 1943 serial THE BATMAN, one chapter was titled “The Bat’s Cave” and introduced the idea of Batman having a secret headquarters underneath the Wayne family mansion that could be accessed via a secret entrance behind grandfather clock. 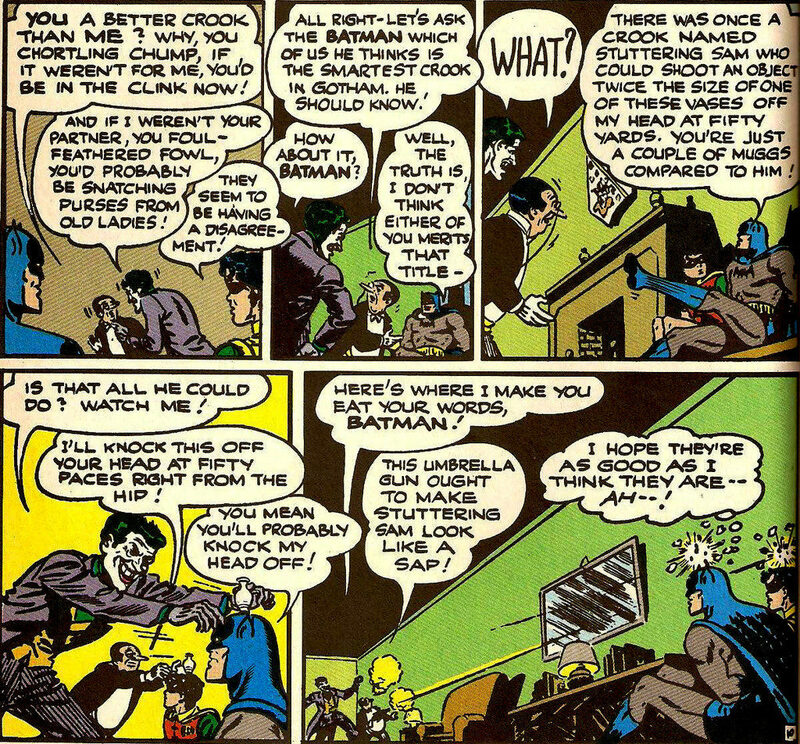 Also in this issue, the character of Alfred was altered. 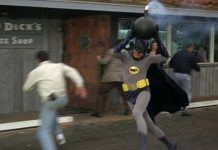 Also influenced by THE BATMAN movie serial of the previous year, Alfred’s physical appearance was altered to resemble British actor William Austin, the first actor to play the character in a live-action movie. 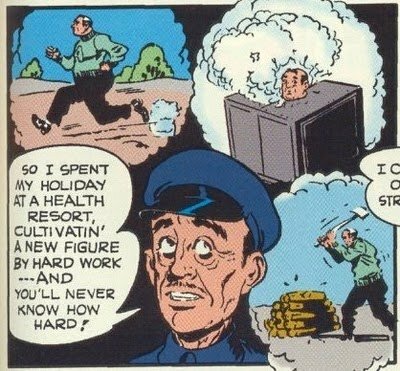 In the comic, Alfred made a trip to a health resort and returned slimmed-down and fit. 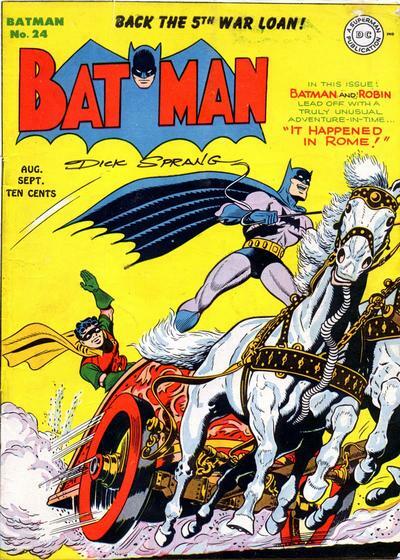 Since then, Alfred has looked relatively the same in the Batman comic books.